Journalling is a powerfully creative way to "name" our feelings, tell our stories and navigate life's ups and downs. 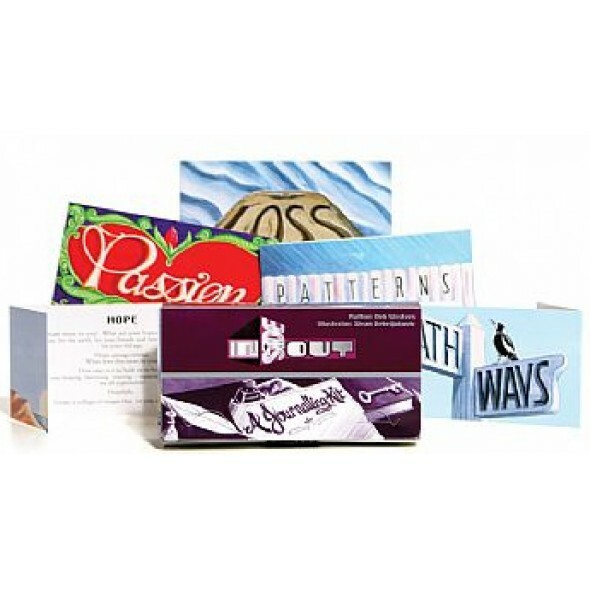 Here is a boxed set of 32 full-colour, gate-folded cards designed to stand upright on a desk. A key word (with a superb illustration) appears on one side of the card, while the reverse features a quote and range of simple, yet effective journalling techniques. Stand the cards up on a table. Ask students/clients/group members to choose one and use it as a prompt for journalling for 10 minutes. They may respond to the key word, quote, illustration, or the journalling techniques. Randomly select a card and use it as a theme to write about for 10 minutes every day for a week. Circle key words. Any themes or patterns? Select cards that relate to events/characters in a book you are studying. Write a dialogue/poem/short story on the theme from that character's point of view. Experiment with a range of journalling techniques covered in the cards e.g. lists, sentence starters, unsent letters, dialogue and clusters.